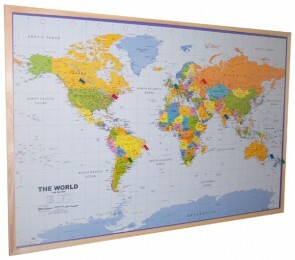 Almost everyone loves a map! They are artistic, attractive, educational and still interesting months and years later. We have made a selection of gift ideas for you to browse. 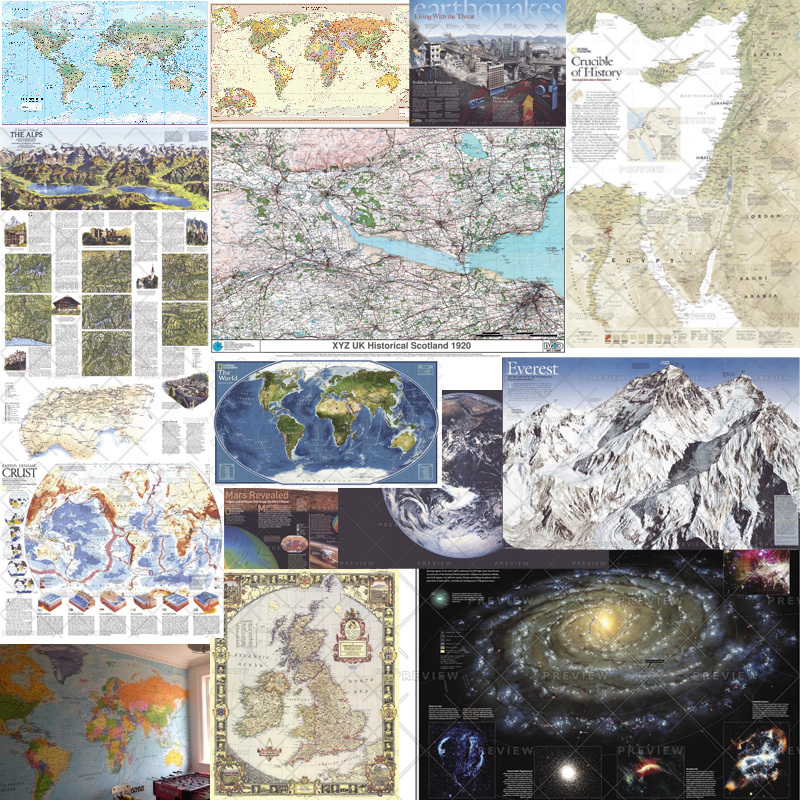 There are World Maps in various traditional and designer styles and both modern and historic, regional maps such as the Alps and Himalaya, thematic maps from National Geographic, D-Day posters, and much more. 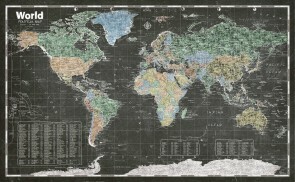 So how about the Chalk Board World Map, Europe in WWII, the Western Front in WWI, Scotland in the 1920s, England in the 1940s, the Earth from Space, Star Charts, and much more? 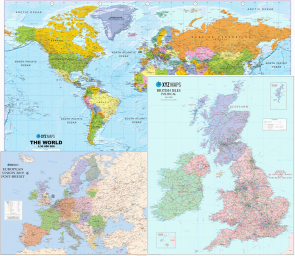 For that really special present you can use our Wallpaper Map product to get a giant map print (biggest to date was 7 metres wide) in a whole selection of styles, both for the World or the UK.